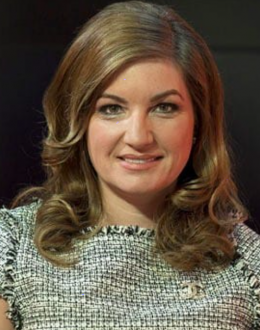 Karren is CEO of West Ham United Football Club, one of the leading London Premier League football clubs and currently valued at £800,000,000, as well as Senior Non-Executive Director of Syco Entertainment, a company jointly owned by Simon Cowell and Sony and leading retail multinational Taveta Investments, owner of global brands including Topshop. Lady Brady was made a life peer by the Prime Minister, entering the House of Lords in 2014 and received a CBE from the Queen for her services to business, entrepreneurship and women in business. Born in Edmonton, North London, Karren began her career in advertising sales straight after leaving school. In 1993, aged just 23, she was appointed Managing Director of Birmingham City Football Club when the club was in administration. Four years later, she became the youngest Managing Director of a UK plc, when she floated the club on the London Stock Exchange. Having turned Birmingham City around, Karren sold the club in 2009 for £82,000,000. She joined the board of West Ham United in January 2010, and negotiated a successful bid for the club’s move to London’s iconic 60,000-seat Olympic Stadium. Under her leadership, West Ham has become one of the five fastest-growing brands in world football. Karren’s wealth of experience and passion for supporting entrepreneurs led to her appointment as the Government’s Business Ambassador by the Prime Minister in 2013. In December 2013, she was awarded a CBE for services to women in business and entrepreneurship; the following August, she was elevated to the House of Lords by the Prime Minister, taking the title Baroness Karren Brady of Knightsbridge CBE. Karren is one of the most sought after speakers in the world and has worked in over 30 countries, motivating and advising global businesses through her award-winning speeches. She is also author of Sunday Times best-selling autobiography Strong Woman. She is a true inspiration, appearing on the BBC’s The Apprentice and is a leading voice, contributor and commentator on business affairs and news programmes.